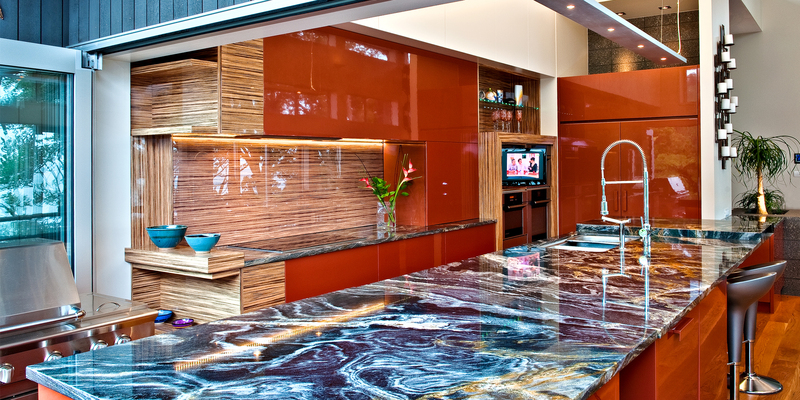 Kitchens By Design | Kitchen Design for Discerning Clients : Whangaparaoa. 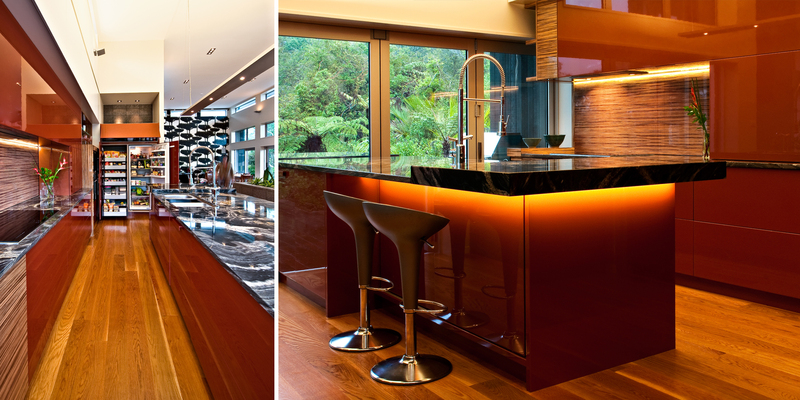 A striking contemporary kitchen for an architecturally designed family home that sits nestled into the native bush. Designed for a busy family of four, this innovative and colourful kitchen epitomises the term indoor-outdoor flow, with its ‘outdoor’ island forming a seamless transition out onto the sheltered deck. This island has been mounted on wheels, so it can be moved around the outdoor area. 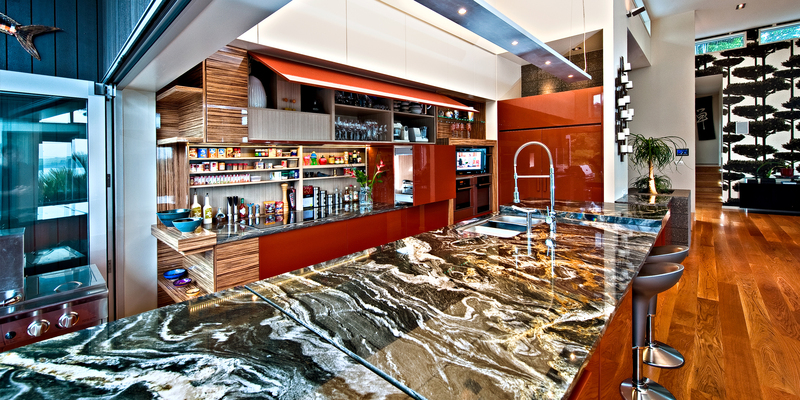 The colour scheme for the whole space was inspired by the choice of a stunning piece of Brazilian granite for the benchtop. A high-gloss metallic paint finish was specified for finish on the drawer and cupboard fronts, matching the gloss finish of the Zebrano timber veneer used for the shelving. The timber was photographed and reproduced for the backing of the glass splashback, uniting the whole look of the kitchen. The entire glass splash back slides behind the ovens to reveal a handy, shallow spice storage area. At the inner end of the kitchen is a bank of built-in ovens, plus a TV, and the fridge is integrated behind matching cabinetry. All drawers are electric, operated by Blum Servo Drive.